As we are assessing competing views of reality, many of us boast that our conception of the world is the correct one. Everybody will struggle until they adopt our frame of reference. Even pluralists (who believe that every view is of equal merit, depending on your personal needs) believe that they are correct about pluralism and that others should abandon their frame of reference in favor of pluralism. The truth is relevant. No matter how many relativists tell us that truth changes based on one’s preferences, we generally know better. The truth is independent of our opinions. As Christians and atheist (or Muslims or Buddhists or Sikhs or Scientologists) debate, we are contesting that our frame of reference corresponds to reality. Christians are testifying that Jesus Christ is the sovereign Lord, the Creator of the universe, and forgiveness of sins comes through trust in his promises. We believe that this is true. You might believe that something else is true. Suppose for a moment that the Christians are right. If Christianity were true, would you become a Christian? Of course, this question could be reformulated regarding any proposition at all. You might hastily fire back, “If atheism were true, would you become an atheist?” I think that the rational man should comport his views to that which is true. The reason that the question is posed in this way is because many of my readers are apostates of Christianity. Christianity is the prevailing religion in the United States, and it is common for people to backslide. This happens for many different reasons. People find it difficult to admit that they have biases. They do not like the idea that something is impairing their judgment and preventing them from thinking rationally. But the truth is that everybody has biases. Everybody has emotional reasons for their behavior of which they are often unaware. While some atheists may contest that they are void of this burden, they are not. Everybody believes what they want. Everybody has dispositions based on their personal experiences. Neither atheists nor Christians objectively analyze the evidence. We all have inclinations. The Christian may be inclined to keep their tradition, while the atheist may be inclined to reject their long-held tradition. If you convince yourself that you have no biases, it is because you are blind to them. Your goal should be to recognize your biases so that you can see how they influence you. As you ask the question, “if Christianity were true, would you become a Christian?” underlying motivations may begin to emerge. You will begin to assess the degree to which you are concerned with what is true. If you are tempted to answer, “No, I would not become a Christian,” then you need to ask yourself why that is. The question may be rephrased, ‘Do you want Christianity to be true?’ If not, why not? Think about that for a moment and ask yourself how your desires may be affecting your judgment. That should not be taken as an insult. It is natural. Our desires impact our judgment. There may be days that you know rationally that you should work out and lose weight. But you have different desires. You have the desire to eat a donut. Your desires are impacting your judgment. This occurs much more often than we realize. As we begin to identify when it happens, we will then be able to combat it. So, if Christianity were true, would you become a Christian? That is a question worth considering. It will help you to assess your biases. Without pointing the finger or assigning blame, I think many objections that people have to Christianity assume their conclusion. This is true in many disciplines. People mount arguments without completely thinking through them or realizing how they came to their conclusion. Christians are often guilty of the same thing. Christians will mount objections to Islam or atheism that assume their conclusion. Similarly, many objections to Christianity actually assume that Christianity is not true. I do not think that this is a fair way to assess an issue. So when I ask you, ‘If Christianity were true, would you become a Christian?’ there are several important implications that will disarm many of the common objections that people have to Christianity. 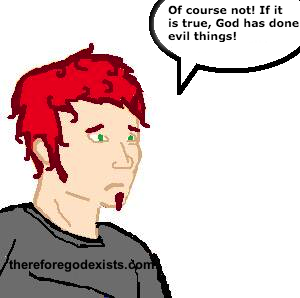 First, atheists will sometimes mount arguments against the Bible on the basis of some perceived evil in God’s actions. They are suggesting that if God had really ordered the slaying of some people or if he would send somebody to Hell, he would be malevolent. Unfortunately, the atheist is assuming their conclusion. This comes out when you begin to apply the question, ‘If Christianity were true, would you become a Christian?’ For if Christianity were true, this means that God exists. 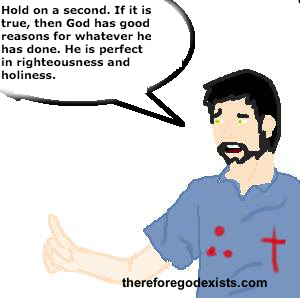 God is a being who is perfectly holy, just and righteous. When he acts, we know that he is acting in righteousness. When we do not understand his actions, we simply do not have enough information. This is the Christian assumption. So when we say that Christianity is true, we mean that God has perfectly good reasons for allowing evil or bringing about some event that was harmful to individuals. If you suggest that God was evil, you are saying that he had evil intent, which is an assumption that departs from the Christian worldview. But if Christianity were true, then this problem would quickly be resolved. Second, the problem of miraculous stories in the Bible would be resolved. Atheists object that the Bible recounts things that would not happen in a naturalistic world. If God did not exist, a donkey could not start talking. Jonah could not survive in the belly of a whale. Jesus Christ could not rise from the dead. The virgin birth would be impossible. If you assume that God does not exist, these are all powerful disproofs of the biblical narrative. However, again, apply our question. If Christianity were true, would you become a Christian? For if Christianity were true, then God exists. If God exists, then a miraculous story is not difficult to explain. The person mounting this argument has assumed their conclusion. If you are trying to assess some of your arguments, then think about it like this. Would your argument still work if Christianity were true? If the answer is no, then your arguments might assume that Christianity is not true in an effort to prove that Christianity is not true. This is fallacious. I anticipate that many people may object that any person of any religion could have written this article up to this point (just with a few words here or there changed). I am pointing out a few common epistemological problems. That changes here. I would like to make a proposition that members of most other religions would never make. Nobody would ever become a Christian. I could mount an irrefutable argument and the onlookers would be unmoved. I submit that the bias that people have always favors their sin and flees from anything that prevents them from sinning. That is not to say that this is in the forefront of your mind. It is subconscious. It is just what people do. People prefer self-indulgence. They prefer to do what feels good rather than what is righteous. They prefer to redefine what is righteous so that their conscious is not burdening them anymore. Perhaps that is why so many people adopt systems of relative morality. Assessing this state of human depravity, the Bible tells us that, “All have sinned and fall short of the glory of God.” (Romans 3:23). Paul tells us that nobody is good. We are repulsed by God by our very nature (Ephesians 2:3). It is something like if I were to give you the choice between a plate of cookies and a plate of liver and onions. It is like if I gave you the choice between a night of pizza and football or a night at work. Most people would choose that which is easier, that which feels good and that they are inclined toward. Our desires are inclined toward sin and away from God. You have probably heard the Christian resolution to this problem before. Paul wrote, “The wage of sin is death, but the free gift of God is eternal life in Christ Jesus.” (Romans 6:23). This means two things. First, we owe a debt. We have accumulated nothing but death. That is what we have earned because we are guilty sinners. Second, (and this is the Good News) Jesus Christ took our place. 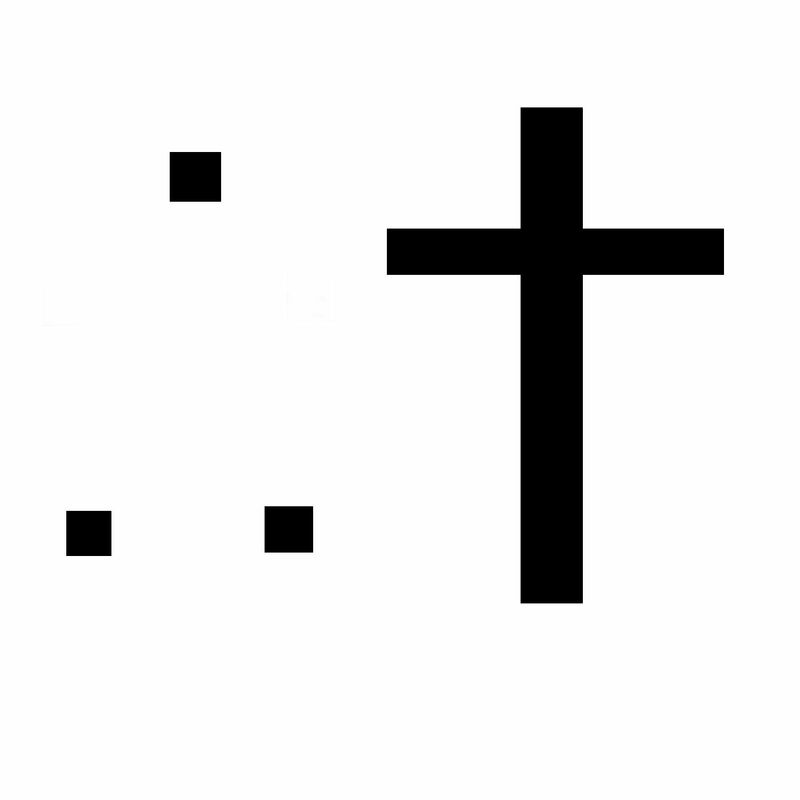 The God-Man died on the cross, under the wrath of the Father (Isaiah 53:10). We are guilty, and he paid our fine on our behalf. Our unrighteousness was nailed to the cross so that his righteousness could be given to us. Three days later, he rose from the dead, providing a model for our resurrection and a hope for the eternal life that he gives freely to those who believe (John 3:16, Romans 4:5). I know what you are thinking. You have heard it all before, and it is foolish. How could one man die for our sins? How could God die? I know that this is your reaction because the word of God tells me that this is your reaction. Paul wrote in 1st Corinthians 1:18, “For the word of the cross is foolishness to those who are perishing, but to us who are being saved it is the power of God.” If Christianity were true, would you become a Christian? Think for a moment. If it were true, then your objections would have good answers. You may have never heard them, but they are there. Search this blog. Send me an e-mail. I will answer. If Christianity were true, would you become a Christian? Tell me in the comment section below. Interact with what I have said here. If you want to read similar content, check out my series Arguments For Atheists To Deal With. Is The Minimal Facts Argument Impious? «» What Can We Learn About Our Culture From The Dancing Man?